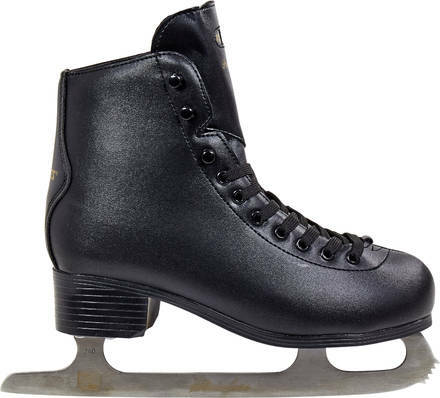 Classic black figure ice skates from Italian Roces with a clean retro look and design. 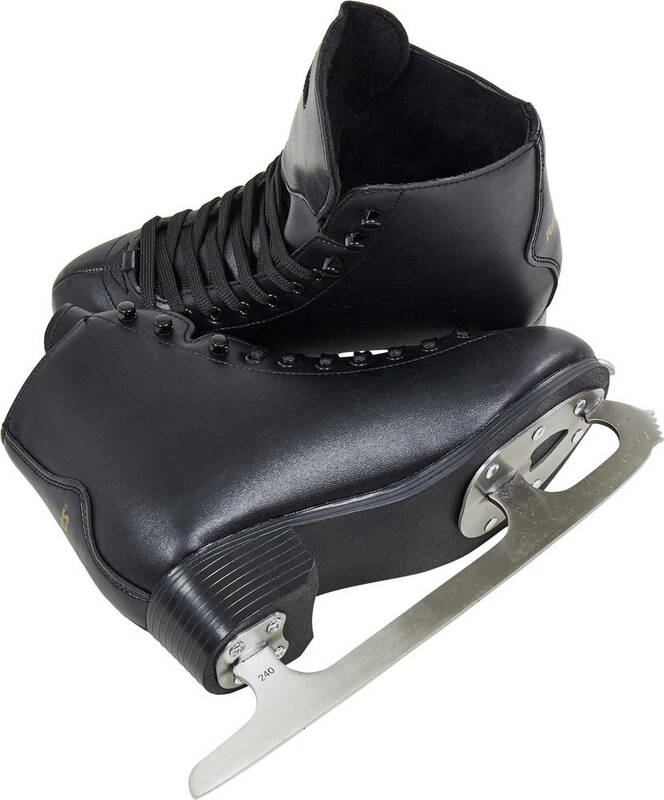 High heel and carbon steel figure skate blade with toe pick. Upper and tongue is made of PVC. With these Roces Paradise ice skates you can choose to keep the classic or you can easily spice them up with some coloured laces or other accessories for a personalised look.